Well, this fever is often familiar to all people. This is a long-term troublesome fever, which makes the person weak and irritable. This disease is S. Spreads by microbes called typhi or paratyphy. It reaches humans through food or water contaminated by excreta and causes them to become dirty hands and flies. Due to this disease being in the intestines, its name is suffering from an internal fever. The bacteria of this disease enter the body in the healthy body and after reaching the intestines, their toxic effects start spreading in different organs. People can easily avoid typhoid fever. Therefore it is very important to be aware of this disease. This disease, which is caused by bacteria, is called periodic fever. This disease is found in the countries of the world, where there is no proper disposal of pimples and dirt or clear drinking water is not available. Another serious thing is that in today's 50 percent of the patients, bacterial resistant drugs are not affecting, because the bacteria have developed resistance to these medicines. Every year about 4 lakh people in India are affected by this typhoid. As mentioned above, the key factor for being typhoid is S. Salmonella is a bacterium called typhi, but with salmonella paratyphi 'A' and 'B', paramedic typhoid fever can also occur. By the way, these bacteria are destroyed by boiling in high temperature or with bactericidal solution. But most people do not drink contaminated water by boiling or filtering so that these germs do not die and enter the body directly. The fever generated by all types of microbes is also known as an enteric fever. Source of illness- Primary source is sick or carrier person's stool and urine. But apart from dirty water, flies, or even human fingers, the bacteria of the disease spread from one person to another. Typhoid bacteria can also be in contaminated milk or other food items. They survive even in ice and ice cream. There is a disease in it - it can happen to any person of age, but most of the age of 5 to 19 years is more and more is found in men's category than women. Physical immune system also plays a role in disease or not. Although the disease can be a whole year, but more patients of typhoid are found in the months of July to September, especially in the rain. Because the number of flies also increases in these days. Due to the habit of defecation and drinking water in open plains or fields, typhoid or other serious diseases such as cholera, jaundice, etc. also spread through the drainy drains. Typhoid also causes the fruits and vegetables to not clean properly.When the flies sit on the stool and sit on the water or food items and people eat such food then the disease becomes diseased. Even if there is stool content in the nails, it can be a disease. This disease often goes into the body by eating infected eggs. Most poultry contains salmonella infection. Which comes in humans by egg. Therefore, the chicken egg should be eaten properly by cooking it. The patient gets weak from not getting proper treatment after repeated fever, thereby eliminating his immune system. The collector and carrier of the disease-collector of this disease and The carrier itself is human. The bacteria of the disease also exist in its stool and urine. These bacteria can also cure other healthy persons coming in contact due to lack of precautions and cleanliness. The victim, who is suffering from Tuffey or Paratyphide disease, produces bacterial disease for 6 to 8 weeks after fever. While some patients have developed these germs for a few months to several years, they spread the disease among the people around them. The symptoms of disease begin to appear within 10 to 14 days of the entry of microbes in the body at the beginning of typhoid. In some situations, this time may be even less than 2-3 days. 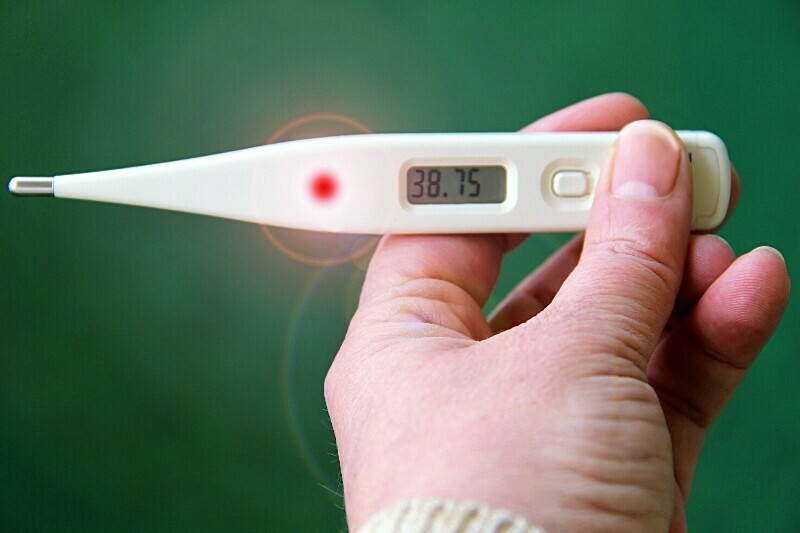 The smallest is caused by a slight fever, which gradually increases to 104-108 degrees Fahrenheit. Typhoid fever in the chest, neck and red on the red The rash emerges, then it fills the water. The rash slowly gets dry and the fever decreases. Meanwhile, the speed of the heart and pulse, slowing down, restlessness, weakness, flatulence, headache, drying of the pores on the lips, tongue dry, scaly and red Symptoms may also occur, such as diarrhea. Typhoid may also involve cupcup or cold with high fever. Together, symptoms like hand and foot, cough are also found. There may also be pain or swelling in the nack. Typhoid fever complains of stomachache and constipation. Later diarrhea can occur. Typhoid shows bright pink rash on the chest and abdomen. Complications of the disease - In almost 30% of cases, when treatment is not taken continuously and sufficient, typhoid disease reaches a critical stage. In this condition, the intestines can have a hole and blood can come from the bloodstream. In such a situation, the patient may also die. Other complications in Typhoid fever include pneumonia, swelling of the heart muscle, brain disorders, and swelling of kidneys etc. The patient can be very irritable. Caution after Tifide - Occasionally 2 weeks later, typhoid fever can come again. This occurs when the treatment is not taken correctly. Typhoid fever should be treated with a qualified doctor soon and should not be considered negligent to treat typhoid as a common disease. Typhoid test is easily done. But the results of the test are found only after seven days. Typhoi is checked for Vidal. Also, the number of white blood cells of the blood decreases in this disease. So their number also looks at the pathologist in their investigation. In the good pathology, the doctor also identifies the disease by stool and blood culture. Remember that the results of these tests can sometimes be false positives or falls negative. This means that even if the disease is not present, this test can sometimes be positive or can be negative despite illness. Therefore, treat the disease and get it done by the advice of the test doctor. Typhoid fever decreases in 7 to 10 days, but the patient becomes very weak. Typhoid is confirmed in vidal test at this time. Controlling patient control - It is important to identify the disease very quickly, so that the patient can be cautious of the disease, the patient. Treatment of typhoid lives. If this is not possible, then it should try to keep it separate at home. But keep in mind that the medicines can be extracted in full amounts for a long time. Special precautions should be taken to avoid contact with the stiff-urine of the typhoid patient like Cut nails, clean hands before eating, do not go away in open spaces. If possible, a septic tanker should be made of a permanent toilets in each house. There should also be arrangements for removal of dirt by drainage drains. Sufficient care should also be given on drinking water and food purity. Because if food and water is contained with typhoid bacteria then it is impossible to stop the disease from spreading. Good antibiotics are available now to treat typhoid. Pre-existing chloramephenic acid is effective in the disease, now there are also ciprofloxacin, amacicillin, cotrimexagon, and other medicines are also available. The treatment is not too costly. It is identified by examining the stool-urine blood of the patient, then it is sufficiently to feed the ampsilin or other medicines so that the bacteria of the disease are eliminated and the typhoid can not spread among other people. Vaccination - It is a matter of satisfaction that today vaccines are available to prevent the disease. But vaccination does not provide 100 percent protection from the disease. Even in areas where the disease is spreading or the family members of the patient must take this vaccine. Tuberculosis vaccine - Three types of vaccines available today (1) Monovalent vaccine, (2) Bivalent vaccine and (3) T.A.B. (B.) Commentary. This vaccine protects against disease for three years, it has to be re-installed after three years. This is called effective amount of vaccine or booster dose. Like the polio vaccine, mouth-like typhoid vaccine has also been developed. In case of immunization, you should consult your doctor. In typhoid fever do not eat patients who have heavy, heavy, gas-producing food in their stomach. Do not even drink alcohol. Do not take butter, ghee, pastries, fried foods, desserts, thick cream etc. Do not drink contaminated foods or water in the typhoid disease. If diarrhea and gas are present, do not drink milk. Avoid consuming chapati until it is completely cured.